As if there hasn’t been enough big, crazy musical news out of New York this week, the announcement came earlier today that Glenn Dicterow, Concertmaster of the New York Philharmonic since 1980, will join the faculty of the USC Thornton School of Music in Fall of 2013 and then step down from his NY Phil chair at the end of the 2013-2014 season. He will become the first ever “Robert Mann Endowed Chair in Violin and Chamber Music.” He currently teaches at the Juilliard School. It is a homecoming for Mr. Dicterow. He grew up in Los Angeles as his father, Harold Dicterow, was the longtime Principal Second Violin of the Los Angeles Philharmonic. The younger Mr. Dicterow was himself recruited to join the LA Phil by former Music Director Zubin Mehta and eventually rose to the position of Concertmaster. Soon after Mr. Mehta left Los Angeles to take the same post with the NY Phil, he offered that orchestra’s Concertmaster chair to Mr. Dicterow, who has been a fixture there ever since. Mr. Dicterow will be joined on the USC Thornton faculty by his wife, Karen Dreyfus, a viola player and teacher at the Juilliard School and the Manhattan School of Music. 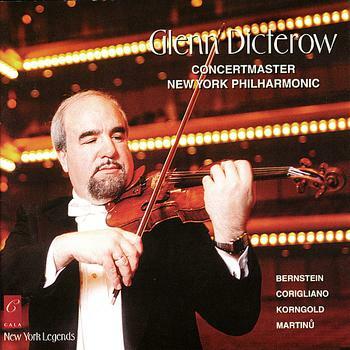 Tags: Glenn Dicterow, Karen Dreyfus, New York Philharmonic, USC Thornton School of Music. Bookmark the permalink. You meant to spell it Juilliard of course (both times).